To me a good leader is a strong and not over controlling person who is not there to tell you what to do, but to help you do it. A leader should always put their best foot forward and be willing to take one for the team and defend the team in all sorts of battles and arguments. They should have courage and be the rock for the team emotionally they should be willing to sacrifice a lot of time and effort a leader should not be there for their own benefit but the benefit of others. Other people should have the right to speak and most importantly be heard they should be allowed to suggest ideas to help the team, group, patrol or nation. They are there to help and encourage and lead and most definitely not to discourage or be bossy and the leader should always remember a leader is very big responsibility so respect leaders. 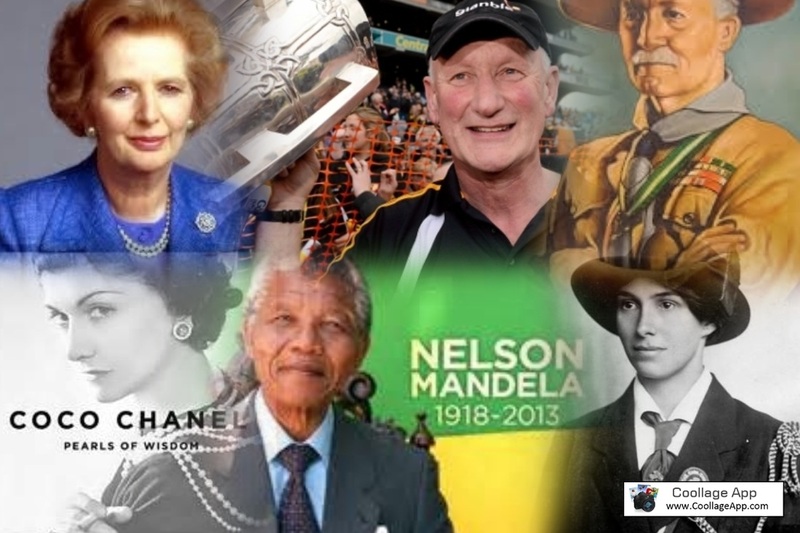 I chose Nelson Mandela, Lord Baden Powell, Olave Baden Powell, Margret Thatcher, Brian Cody and Coco Chanel . Nelson Mandela was a strong fierce man that fought against racism and was imprisoned for it . He was the president of Africa for five years. I think he was a vast influence anti-racism, nowadays no matter what colour your skin is you are accepted, and I hope that doesn’t change and I also think people should be proud of where the come from and proud of the colour of their skin. Lord Baden Powell is the man behind scouts. Scouts is an activity teaching boys and girls how to camp and other outdoor skills. After retirement In 1938,he returned to Africa where he lived in .Baden Powell died In the year 1941 after retirement in 1938, he returned to Africa where he lived in Neyerie, Kenya. On Baden Powell gravestone it was wrote “Robert Baden Powell chief scout of the world” surmounted by the boy scouts and Girl Guide badges. Olave Baden Powell was a chief girl guide and the reason there is girl guides and also the reason I am a girl guide .She died on the 25th of June 1977. Margaret Thatcher she was born in 1925 and died in the year 2013, the England first and only female prime minister, she was the prime minister from 1979 until 1990. During her time in office, she reduced the influence of trade unions, privatized certain industries, scaled back public benefits and changed the terms of political debate, much like her friend and ideological ally, U.S. President Ronald Reagan. Her nickname was the “Iron Lady,” .She was the longest-serving British prime minister of the 20th century, Margret was eventually pressured into resigning by members of her own Party. Coco Chanel was an inspiring woman whom I’m sure you have heard of before. She changed fashion for good. She wore men’s attires in which woman debated against her wearing men’s attires. Because of this, woman across the world followed her style giving people more comfort in the attire they wore . Brian Cody is the Kilkenny senior hurling manager . He was a player himself . He has lead his team to victory plenty of times and is famous for his management. He lives in Kilkenny and is a retired principal . He has been the Kilkenny senior hurling manager since 1998. This is my project on leaders and I hoped you enjoyed it !